Truck Mount carpet cleaning is the very best carpet cleaning method recommended by many carpet manufacturers. This is exactly what All Star Carpet Cleaning company offers you. Carpet cleaning is among the most difficult house chores and with the help of All Star you get it done much easier. 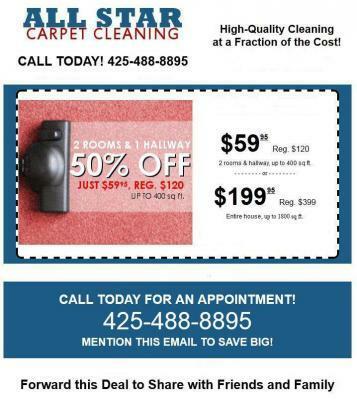 It becomes necessary to have these services because of using the best methodology to clean your carpet perfectly.Snohomish, WA. Truck mount carpet cleaning is a very effective and easy way to clean carpets without the use of harmful chemicals which could harm you, your children and/or your pet. But what is the importance of getting All Star’s trusted mount carpet cleaning? It takes only three to six hours dry unlike other methods which take over twelve to twenty four hours. The job is much quicker because the Snohomish, WA. Truck mount carpet cleaning system is powerful which in turn saves on time for both the company and you the client.The cleaning ability of the truck mount carpet cleaning offered by All Star carpet cleaning company is sparkling. It removes all the dirt and tiny grit from your carpet to give you a properly sterile carpet suitable for pets and children and those allergic to dust. No harsh chemicals are used during the truck cleaning process but the level of cleanliness achieved is not any lower. This is very important in ensuring your carpet serves you for much longer because harsh chemicals tend to destroy the fiber making the carpet weak.Summing up, All Star Carpet cleaning company offers you trusted carpet cleaning services using truck mount cleaning method. This is an effective method which ensures your carpet is sparkling clean and dry within no time. It does not involve the use of harsh chemicals which could harm your carpet as well. It is safe for use too.